As a Mobility Manager, I create partnerships between a diverse range of community organizations (public, private, non-profit, for-profit, etc.) to ensure that transportation resources are coordinated effectively. I use these partnerships to develop and enhance travel options for passengers in both Greene County and the Miami Valley region. I develop ways to effectively communicate these options to the public to inform customers’ decision-making, focusing on enhancing customer service. I strive to develop collaborative efforts to increase the transportation resources for the populations I serve as well. (Reference: Judy Shanley, Ph.D., Co-director, National Center for Mobility Management, Regional Liaison to FTA Region 5). I have the privilege of meeting quarterly with follow Mobility Managers from around Ohio and have found out that each of our jobs are different. Each of us is unique to the county(s), region, or agency that we serve. I personally work for a public transit agency; others may work for a Community Action Partnership Agency, Area Agency on Aging, Senior Center, or a Metropolitan Planning Organization. Since I have a background in marketing and management, I have been tasked with providing daily management to our website, www.co.greene.oh.us/greenecats, as well as our social media presence at www.facebook.com/greenecats and at www.twitter.com/greenecats. 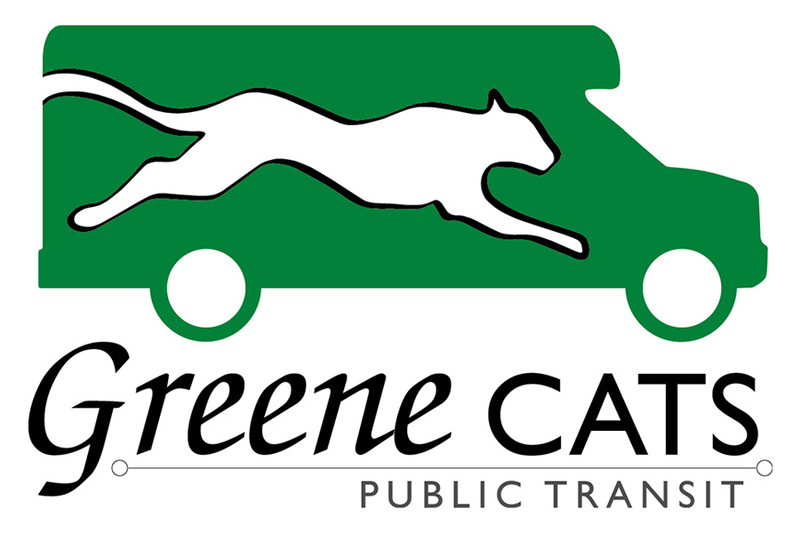 Furthermore, I publish a bi-monthly newsletter, Greene CATS Connection, for our agency. I am also responsible for the website management of www.miamivalleyridefinder.com. “This site is designed to provide contact information as well as general information about transportation providers in … and around the Miami Valley.” An additional responsibility is ensuring all of our brochures are up-to-date and stocked at the ninety various locations around the Miami Valley as well as in our forty plus vehicles and managing the database to chronicle when those are delivered and how many. Furthermore, I also man booths at various festivals, health and college fairs, and events around the Greene County area to provide education to the public on what mobility options are available to them and their families. 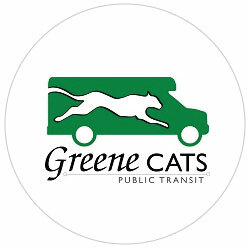 This year, Greene CATS Public Transit celebrated 15 years of service on January 8, 2016. We decided to produce a video outlining our service, both past and present. I was the coordinator designated to working with the media company, overseeing the video production for quality and integrity, accompanying them on video shoots as well as arranging interviews. In addition to that duty, I was also the coordinator for our 15th Anniversary celebration that we held to commemorate the occasion. We held a catered public event on July 28, 2016 with approximately sixty people in attendance. The attendees were able to watch the short 10 minute video that highlighted our history. This was the first time I ever planned a business event along with all the marketing involved to promote the event too. Needless to say, I learned a lot and had to stay organized with a timeline that was started seven months in advance. Collaborations with other agencies/organizations are crucial to the success of mobility managers. I am on advisory councils for the Greene County Council on Aging Membership Committee, United Way 2-1-1, GRADS program at the Greene County Career Center, and Sinclair Community College Marketing and Management. I attend numerous other community meetings also: Greene County Transition Team, Greene County Safe Communities Coalition, Greene County Linkage, Xenia Area Chamber of Commerce Women in Business, Wilberforce-Xenia SPOKES Committee, Xenia Area Association of Churches and Ministries, Miami Valley Mobility Managers, Miami Valley Regional Planning Commission (MVRPC) Regional Transportation Coordination Council, MVRPC Regional Bikeways Committee, and Rob’s Rescue. Travel Training is another integral part of my job. Our program is designed with the individual or group in mind, teaching them what their mobility options are in Greene County and how to travel independently with success. I provide them with all the options that may be available to them; whether it is public transit, biking, walking, senior center transportation, Veterans Service transportation or Dayton VA specialized transportation. Recently I have also included information about Uber since it has come to Greene County now. I was able to learn more about the service from a driver who delivered a power point presentation at an event I attended. My trainees and I also travel together; “holding their hand” so to speak, to aid them visually on how easy it is to travel with Greene CATS and use our Flex Routes or Schedule Rides. However, training is also for the mavens of the community because many times they see those who need assistance before I do. I provide staff training presentations to agencies and organizations to arm them with the transportation information to help those populations they serve.